O give me a home where the buffaloes roam! This week’s #BookFace is about that home on the range! 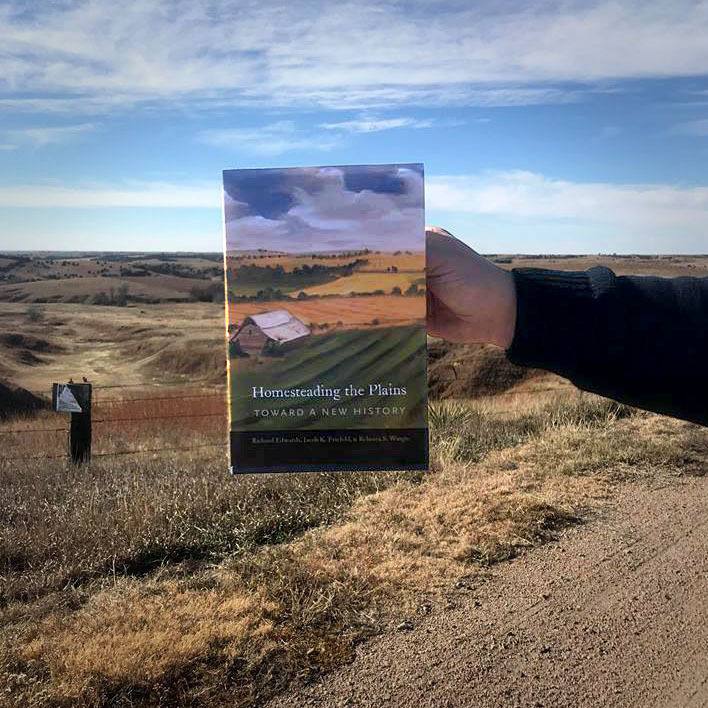 This week’s #BookFace model is very appropriately, the plains of Nebraska, more accurately a farm on the outskirts of Aimee’s hometown of Elwood! This entry was posted in Books & Reading, General, Nebraska Center for the Book and tagged Book Art, Book Covers, bookface, bookfacefriday, Celebration of Nebraska Books, Homesteading the Plains, Nebraska Book Awards, Reading. Bookmark the permalink.